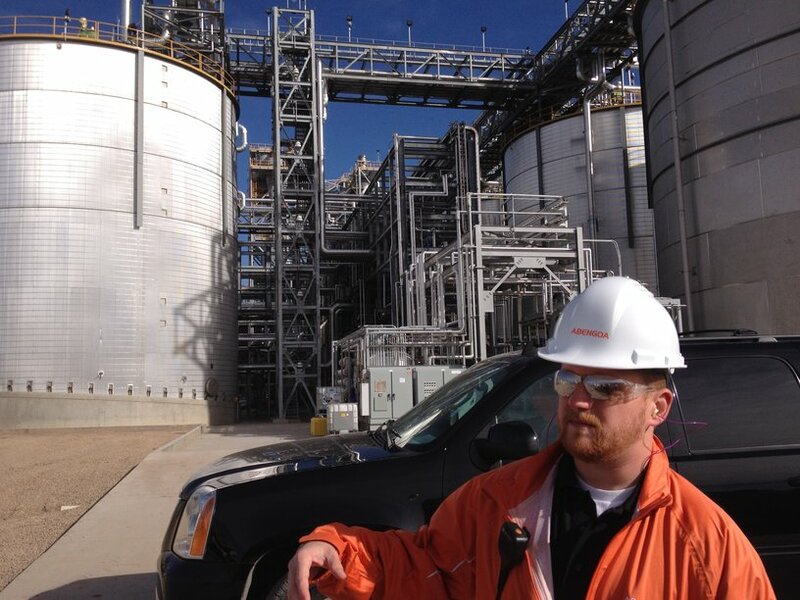 Five months after its grand opening, a massive new-generation ethanol plant in the southwest corner of Kansas is undergoing final adjustments, as it prepares to begin full-scale production. 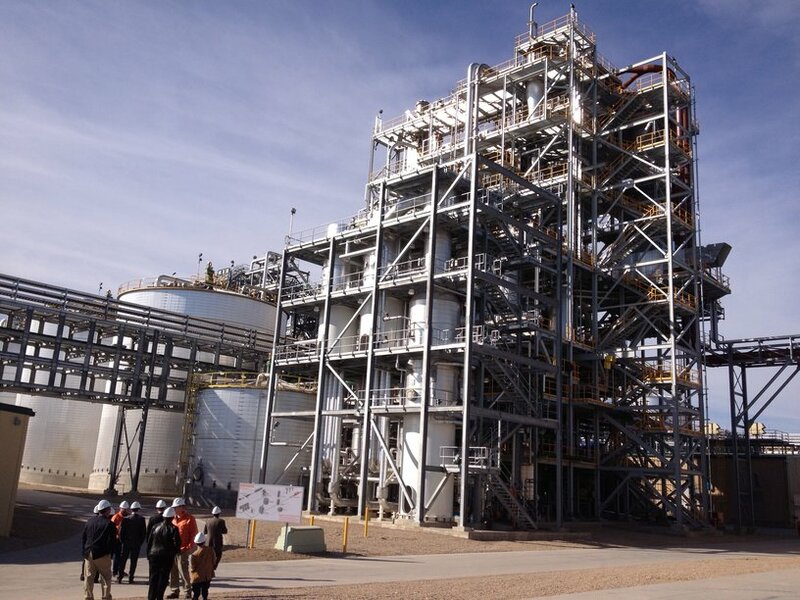 The plant, built by a Spanish company with financing from the U.S. Department of Energy, is designed to produce clean-burning fuel—from the bits and pieces of crops left in farmers’ fields after harvest. Heartland Health Monitor’s Bryan Thompson has more on the new Kansas plant and the environmental claims being made about it. 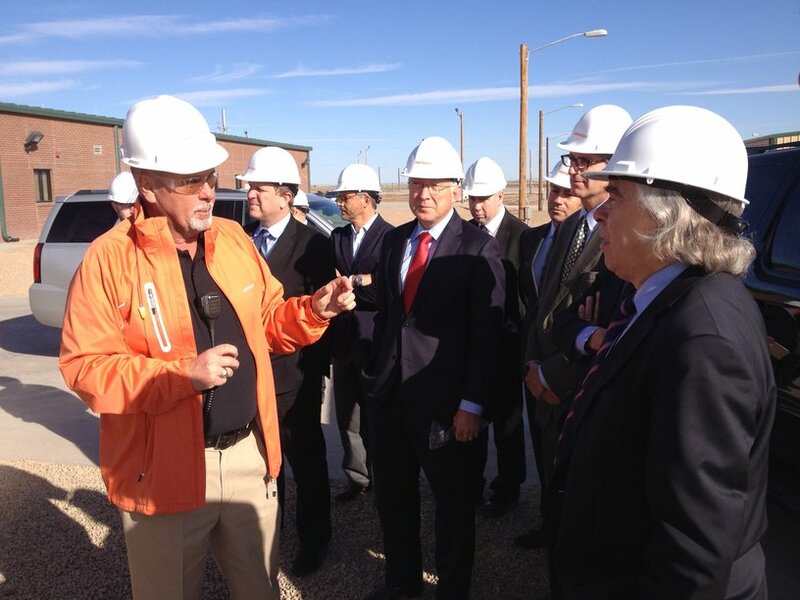 Plant Supervisor Danny Allison addresses U.S. Energy Secretary Ernest Moniz and other dignitaries. Enymatic hydrolysis converts cellulose to sugar. 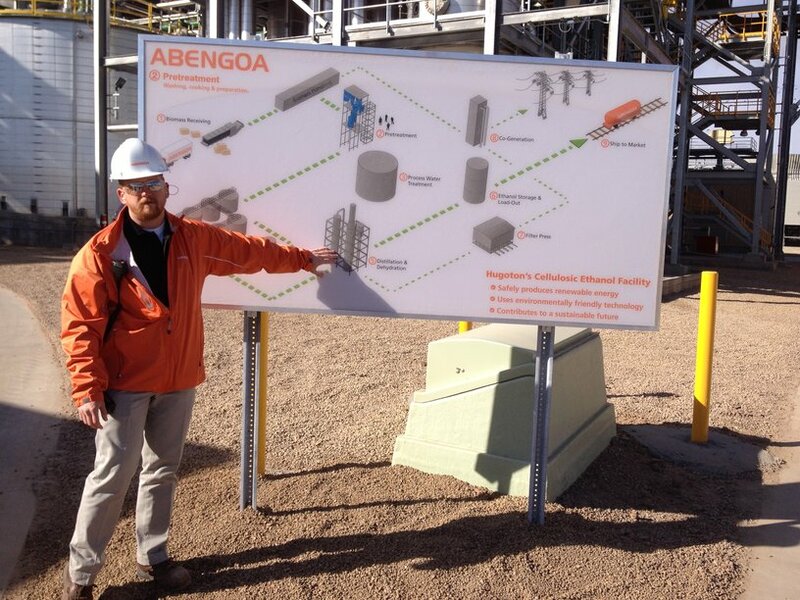 Engineer Kevin Gross uses a diagram of the plant to explain the process. Large tank behind engineer Kevin Gross is called a "beer well"--the "beer" is not fit for human consumption. 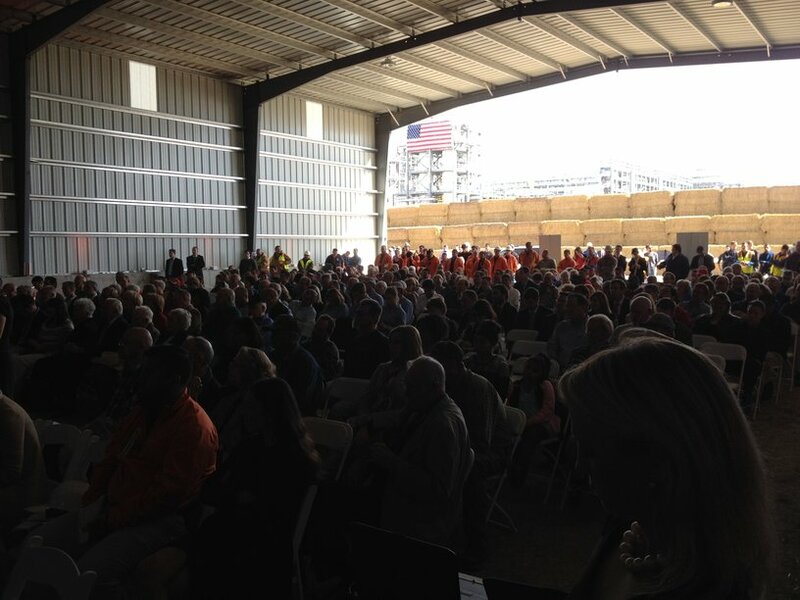 A large crowd attended the grand opening. 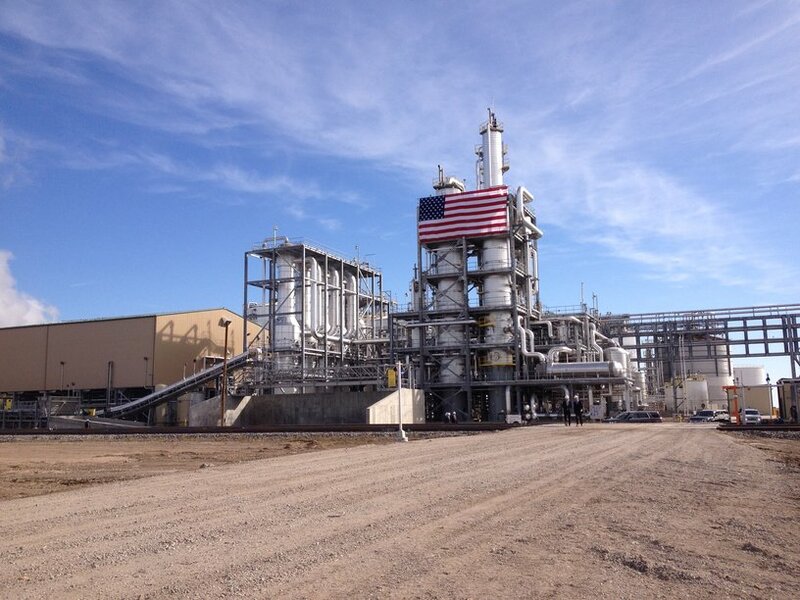 The material stacked outside the building is crop residue for production of ethanol. 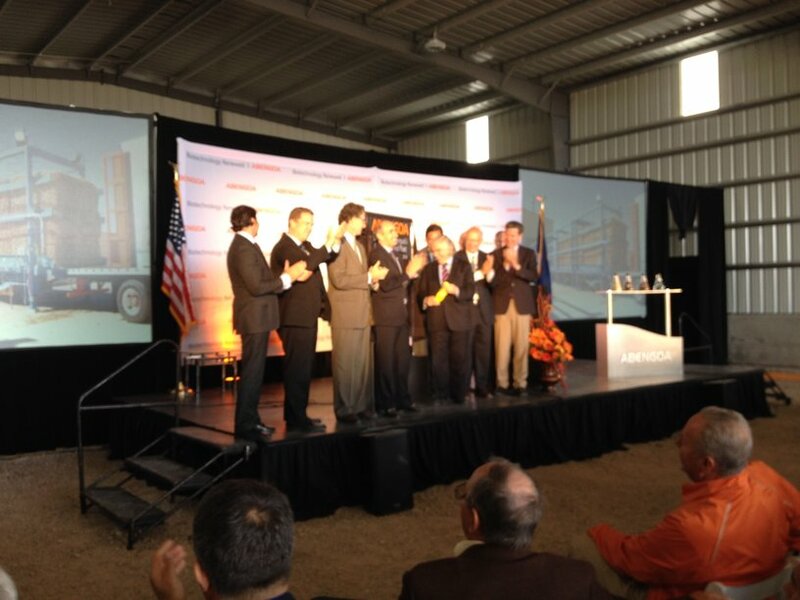 Energy Secretary Ernest Moniz presses a button for the ceremonial start-up of the plant. Can Rural Kansas Grocery Stores Survive?